The Zoeva Graphic Eyes+ pencils are available in 10 shades- from 'Black to Earth' to 'Close to Heaven', there's a range of neutral and blue tones to suit all tastes. With an ultra smooth formula, these pencils apply like a gel eyeliner with a precise dark line that doesn't tug or pull at all at the delicate eye area. Their pigmentation makes them perfect for the waterline inside the eye, and because they're waterproof they have incredible staying power without flaking or moving at all. I tend to shy away from dark shades on my waterline as the colour always collects unattractively in the inner corners of my eyes, but I've had this Zoeva pencil on my upper and lower waterlines for over 8 hours with no smudging and no migration to the inner corner at all. These pencils are multiuse- as they set quickly they can't crease or be smudged after they've dried down, so are great for applying roughly to the lid and blending out to create a strong base for a dark dramatic. As well as directly from the pencil, the liners can be applied using a pencil brush for a soft smudged line, or an angled brush for a precise line and flick. Because they set within a minute or two, its easier to run the brush over the top of the pencil, than apply to the back of the hand then the brush, as otherwise you'll be left with patches of dried and unusable liner before you can get it to your eyes. 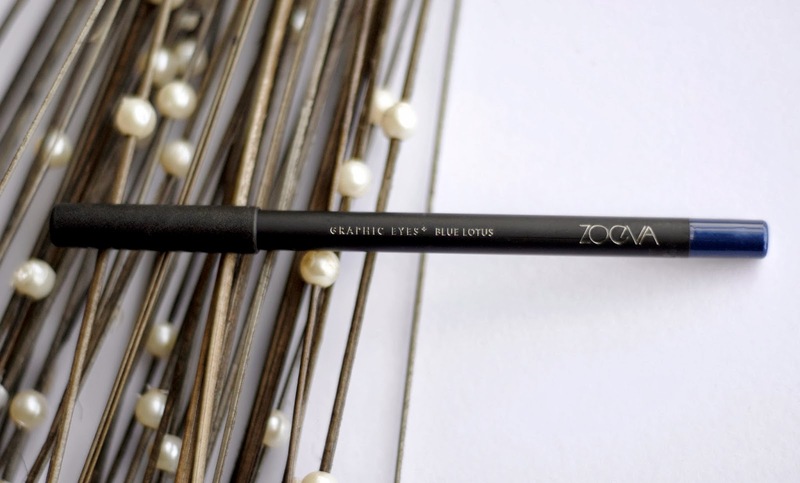 The Zoeva pencil in Blue Lotus*, described as a matte rich royal blue, makes a perfect change to my usual black, grey and coppery brown. 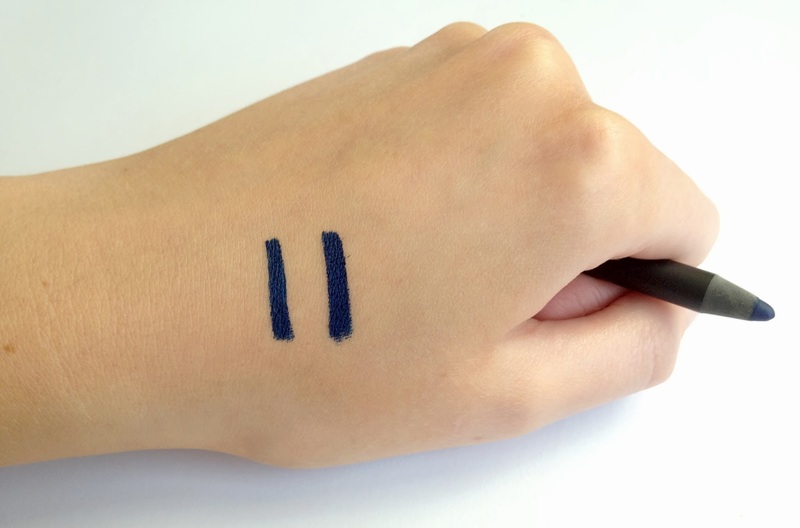 I used to wear bright blue eyeliner all the time instead of black when I was at school, but this colour is much more sophisticated and wearable as a dramatic dark line. Because it's waterproof and applies in a densely pigmented line, this liner is stubborn and takes a bit of work to remove. I've found the easiest and quickest way to make sure everything is gone from edge of the eyes is to dip an eyeshadow brush in an oil based or bi-phase makeup remover, blend over the line until the colour is broken down, then sweep off with a cotton pad. This method gets everything from between the lashes as well, and the eyeliner won't stain your white brushes as long as they're given a good wash. The Zoeva Graphic Eyes+ pencils are well worth their € 5.20 (about £4.50) and I have my eyes on Rock n Roll Bride, a brown with pink and red glitter, as the next to add to my eyeliner collection. The pencils are currently available directly from Zoeva, but will be launching onto Professional Online Makeup at Christmas. I have always been scared of blue eye liner since I abused it in my teens! But this is lovely as its more of a navy rather than the awful bright blue I used to wear. Great price too, especially being waterproof! That is such a lovely navy shade! I really want to get some of the Zoeva brushes. I may have to look at the makeup when I place an order too! Love the royal blue colour! Looks like a really great eyeliner, I will look out for this.